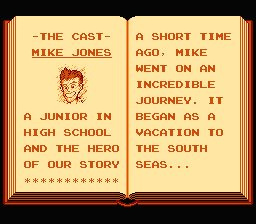 Mike Jones, high-school ace pitcher and part-time adventurer, returns for another escapade; travelling not into space but back in time. 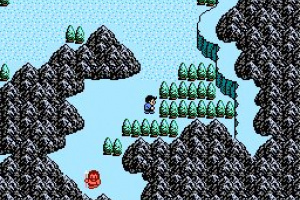 This sequel to StarTropics was released only in North America as one of the last NES titles. Mike is transported through history from the Stone Age to the Wild West. Meet historical figures like Leonardo da Vinci and Cleopatra, and face the avengers of Zoda – the alien leader whom Mike defeated in his first adventure. 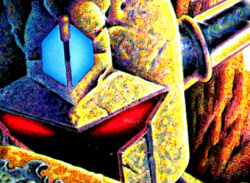 Could Zoda be ready to rise again? i wasn't expecting this since it wasn't on the coming soon list. Wasn't expecting this to come out. But darn it looks like us europeans will have to wait a while since it never came over here. oh well. its not a game i particularly wanted to play. its not a game i'd download either. even if it doesn't come out for months, i personally wouldn't be too bothered. Yay, this was unexpected...but very welcome nonetheless. Hope we'll get it in the next Hanabi festival. I don't understand why if the game is "more of the same, except fine-tuned" that makes it not as good as the original. That seems like it should be slightly better. Is this game as absurdly difficult as the original? I'm not sure how far I got, but I was stuck at the same boss for over a month before I got frustrated and deleted it. I think it was the dungeon after submarine ride, not sure. 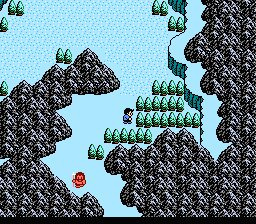 I enjoyed the first one a lot until the difficulty level shot through the roof all of a sudden, and would love to finish a Star Tropics game. Games shouldn't be harder because of controls. Glad to see this is better in that respect. While i honestly wasn't expecting this, although it had come back into my mind becauser of people talking about it, it's a great surprise. However, as said in the review, we'll have to pay extra for it due to it's import status. i don't mind that (Unlike with Dig Dug) but it's just that Europeans will have to wait until another Hanabi most likely for it that annoys me. 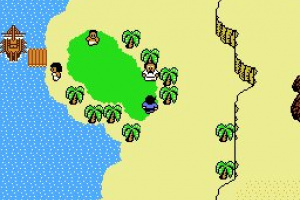 I wish Nintendo would create a new Startropics game, maybe for WiiWare. If they did, that would be so awesome. Awesome, definitely getting it then. I love quirky games with modern-ish settings like Contact, Evermore, and Earthbound. 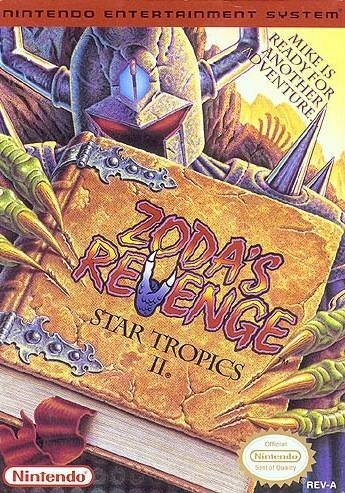 And considering that none of those are likely to get a sequel released outside of Japan any time soon, I'll join the rest of you hopeless Star Tropics fans in crossing my fingers for an overdue sequel. This one isn't so hot. 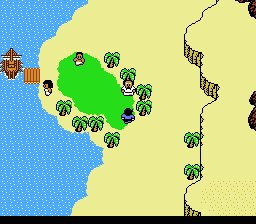 I loved the first Star Tropics, but never cared for this one at all. Huh, got to say I agree so far. I love the time travel stuff, but the action doesn't seem improved to me. It's still very stiff. 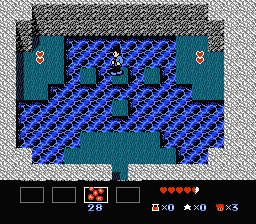 Not being stuck to a grid makes platforming sections more imprecise, which is a pain when one misstep means one lost life and an emptied inventory, not just a lost heart. 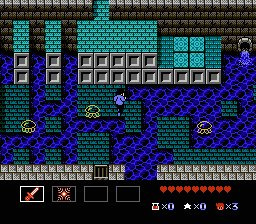 By the way, I just got to the dungeon where I'm looking for a pizza, and there is a treasure chest in one of the first rooms. I've defeated all the enemies and hit the switch any number of times. I've pressed every button on the controller. Nothing. How on earth do I open it? As far as the instruction manual goes, there are no keys, either, so I'm at a complete loss. Oh, and the game would benefit tremendously from a short blinking invincibility after being hit! 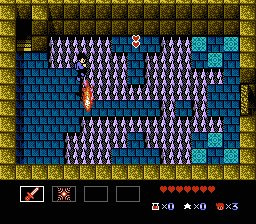 It's ridiculously unfair when an enemy hits you over and over before you can get away because their random movement patterns in confined areas often mean they follow you as you try to escape. It doesn't help that getting hit makes you flinch for a second, too, making escape even harder. Jump on the switch? Running over it to make it light up won't do the trick. How odd that it lights up and makes a sound as if you've done something when you run over it. Really counter-intuitive. Oh well, the game has its moments that make dragging yourself through the dungeons worthwhile. I've been enjoying this game very much since I downloaded it (played it non-stop for almost three hours). I have a note to make about the VC version, though: Due to licensing issues (Nintendo no longer owns the license for Tetris), the blocks are no longer called Tetrads. They retain the "block" moniker all the way through. Disappointing, but not surprising, and not a big deal as it doesn't effect the gameplay at all. I also agree with Adam about the cheap hits in the game. Temporary invincibility would have been better, but this game is still tons of fun if you take the time to get used to the controls. Doesn't look too bad, but I'll wait until I get the first one before I give this one a go. I was more patient in learning the original's controls, but after I couldn't finish the original and seeing how hard this one is so very early on, I decided to just delete it instead of pulling my hair out. Oh well, five bucks is cheaper than renting a game, and maybe I'll try it out again some day if Nintendo offers a storage solution and I have space for games I don't play regularly. i've always wanted to try this. i guess now i get my chance... i owned the original for my nes but that game got to be pretty damn challenging after a few levels and it never felt too rewarding either... maybe this will be better? Thanks for taking my review correction, guys! That difference REALLY matters later on, as the best psychic blast is NECESSARY to beat Zoda-Z. Speaking of which, I did so today, clocking 4:44 gameplay time (according to my daily accomplishments list). A few minutes of that was sitting on the "the end" screen as I went off to brag to my brother. Point is, if you get good at this game, it's not really all that long. It'll only take you forever if you die a lot. 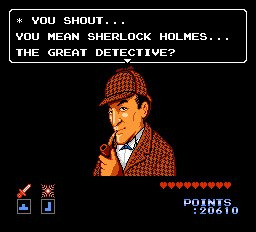 Another tip to potential players: Try to find a walkthrough or, if you can, maps for this game online. 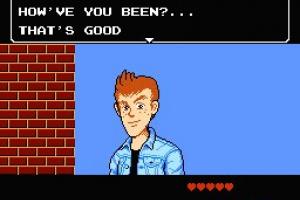 I used my backlog of Nintendo Power, and it's VERY useful for finding hidden medicine bottles. 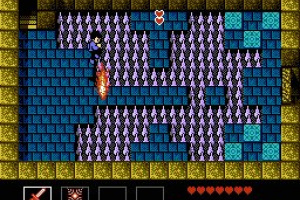 And the dagger, if you happen to miss it for some reason (walk through a wall in the mountain east of the Nile). Hope some of that helps someone to enjoy this great game! I loved the first one and want to play this one too - I need to knock out some of my backlog vc games first, though. Is there a mermaid in this game or the first one? I wonder if Nintendo would ever make a third game in the series. 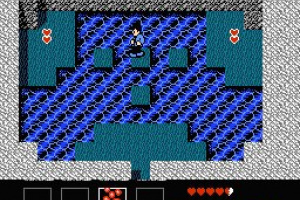 I LOVED the original StarTropics, and I'm gonna be trying this out pronto. I remember checking this out for emu, but I reformatted right after DL'n, and never got back to it. Looks great though, and I have some spare Wii Points, StarTropics, and rosy pink nostalgia, here I come!! Oh, right.. Bass XO, +1, I would love a good long wii version, and NOT 3D. Bring this to europe Nintendo!!! This game is great. 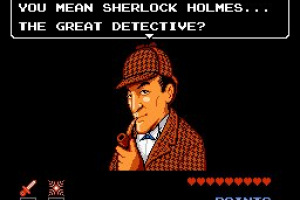 Its not the best on the NES, but it deserves between 3.5 and 4 stars. 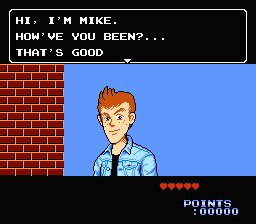 I liked this a LOT better than Startropics. The story was more varied (though no more serious) and the controls are far far far better. I couldn't stand the unmercifully stiff controls of the first game. I would recommend this game over the first one 100%. To see Mike in diagonal movement is almost alienating me lol. Is this game as absurdly difficult as the original? It is much harder than the first part. I had no problems beating the first one. But StartTropics II is so hard, it's not just challenging- it's hard as nails and it's damned last level is almost impossible to beat. On a scale of 1 to 10, with 1 being extremely easy and 10 being extremely hard, I give the game definitely 10. Wow. Saying Super Mario Sunshine is terrible lost my attention for the rest of your post. Sunshine is a pretty underrated game and contains something many Mario games lack: innovation and a story. Mario 64 had TERRIBLE analog controls. Sunshine fixed alot of 64's issues, things that the rose tinted glasses of nostalgia prevents a ton of people from noticing. 3D Mario has taken a fairly similar track, but with Fludd, at least things felt fresh. Like Wind Waker, people will eventually respect it. And for the record, aside from Galaxy 2, Mario doesn't do sequels. Or are you thinking of Rare again? Your user name makes it obvious.